i just can’t stop thinking about islands, pirate castaways, ports in storms. so i’m google earthing and not really caring where these islands are. or what the weather’s like. i want to go. 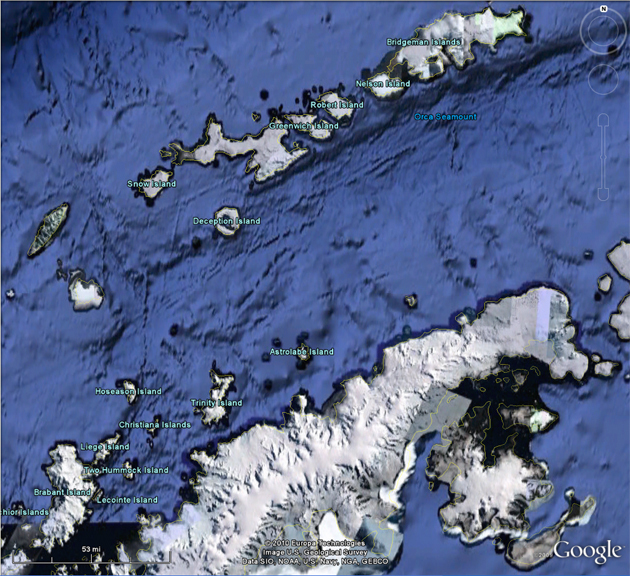 The South Shetland Islands are a group of over twenty islands approximately 60 -150 miles (100- 240km) north and north east of the Antarctic Peninsula and 530 miles (850 Km) south and south west of Cape Horn Several of the islands are, or include, active volcanoes. The islands were heavily exploited for seal hunting in the early nineteenth century. Now they include numerous research stations and are popular with antarctic tourists. deception island. cool thermal core. Protected by high cliffs and a narrow entrance (Neptune’s Bellows) this 12km wide amphitheatre is one of the safest natural harbours in the world. It was first used by sealers as a base for operations and then later by whalers. By the 1914-1915 season, thirteen whaling factories had been built here and many relics from this time can still be seen abandoned in various places. Deception Island is a very popular place to stop for tourist ships as you can go “swimming” in the waters of Pendulum Cove that are heated by ongoing volcanic activity about a mile below the waters inside the collapsed caldera. “Swimming” is a relative term as the reality consists of sitting in the shallows between the too-hot volcanically heated waters and the icy cold Antarctic ocean waters. If it starts to get cold, stir up some of the black volcanic sand to release some more heat, if it gets too warm, move towards the cooler open sea. In the 1920-1921 season, the water here boiled and stripped the paint from the hulls of the whaling ships, an eruption in 1969 destroyed the British base. Deception Island last erupted as recently as 1991-1992 with more activity reported in 1994. 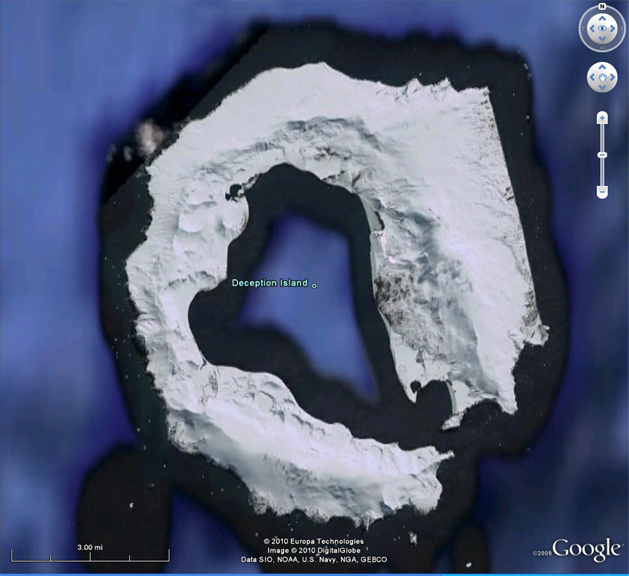 Posted on February 22, 2010, in antarctica, research and tagged antarctica. Bookmark the permalink. Leave a comment.